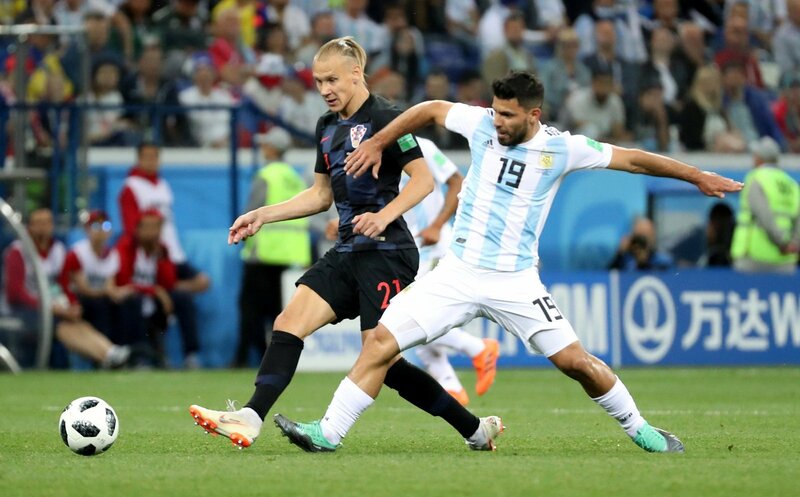 According to a report by Turkish media outlet Sabah on June 23, Leicester City have launched a €12m (£10.5m) offer for Besiktas centre-back Domagoj Vida, and Championship side Birmingham City should be watching developments closely. Well, Sabah report that the Foxes are keen to bring the 29-year-old defender to the King Power Stadium this summer, and they have lodged a bid in order to try and beat Premier League rivals West Ham United, Everton and Fulham to his signature. The Croatian, who is currently starring alongside Liverpool’s Dejan Lovren at the heart of his nation’s defence at the 2018 World Cup, only joined the Turkey giants during the January transfer window, but Sabah report that he could be set to leave already. Should Vida link up with Claude Puel’s men he would likely line up alongside England ace Harry Maguire in the backline, and his arrival in the east Midlands would surely push captain Wes Morgan closer to the exit door. Why should Birmingham be monitoring the situation? Well, while the Blues have decent centre-back options with the likes of skipper Michael Morrison, Harlee Dean and Marc Roberts, Monk will always be looking to improve his squad and it would be difficult to see how Morgan wouldn’t be a great addition for them if he became available. It is only just over two years since he captained the Foxes to the Premier League title, and while he is 34 years of age there is no doubt that he could be a big hit for them in what could be a crucial Championship campaign for the club. The Jamaica international would bring some real strength, steel and vital experience to the Birmingham backline, and it could be vital to have a leader like him in the spine of the XI if City, who would be making their best signing in years if they snap up a 19-year-old World Cup starlet, are aiming for the play-offs in the upcoming season.